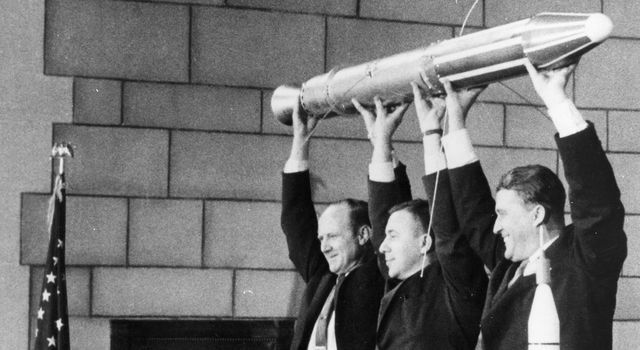 This month marks the 60th anniversary of the launch of America’s first satellite, Explorer 1. The small, pencil-shaped satellite did more than launch the U.S. into the Space Age. With its collection of instruments, or scientific tools, it turned space into not just a new frontier, but also a place of boundless scientific exploration that could eventually unveil secrets of new worlds – as well as the mysteries of our own planet. At the height of competition for access to space, the U.S. and the Soviet Union were both building satellites that would ride atop rockets in a quest to orbit Earth. The Soviets launched Sputnik 1 on October 4, 1957. 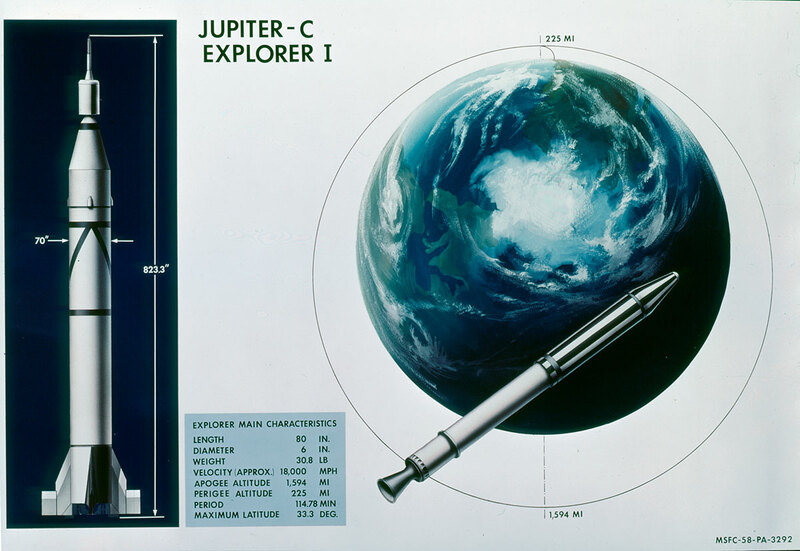 Shortly thereafter, on January 31, 1958, the U.S. launched Explorer 1, the satellite that would begin a new age of scientific space exploration. Using rockets to do science from orbit was a brand-new option in the late 1950s. Before this time, rockets had only been used for military operations and atmospheric research. Still, rockets of that era weren’t very reliable and none had been powerful enough to place an object into Earth orbit. 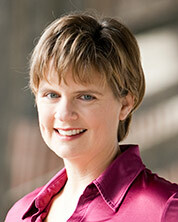 Explore our collection of standards-aligned lessons for grades K-9. 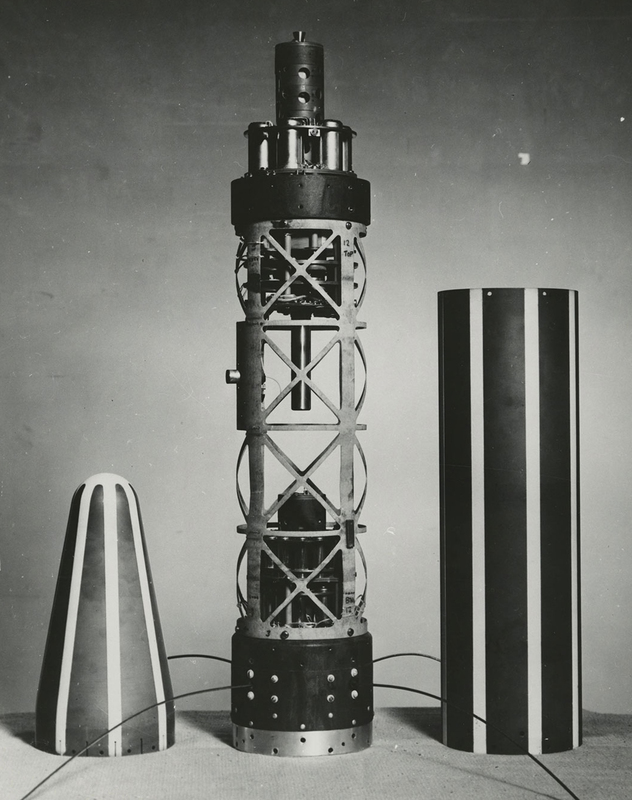 Prior to these first orbiting observatories, everything we knew about space and Earth came from Earth-based observation platforms – sensors and telescopes – and a few atmospheric sounding rockets. With the success of Explorer 1 and the subsequent development of more powerful rockets, we have been able to send satellites beyond Earth orbit to explore planets, moons, asteroids and even our Sun. With a space-based view of Earth, we are able to gain a global perspective and acquire a wide variety and amount of data at a rapid pace. 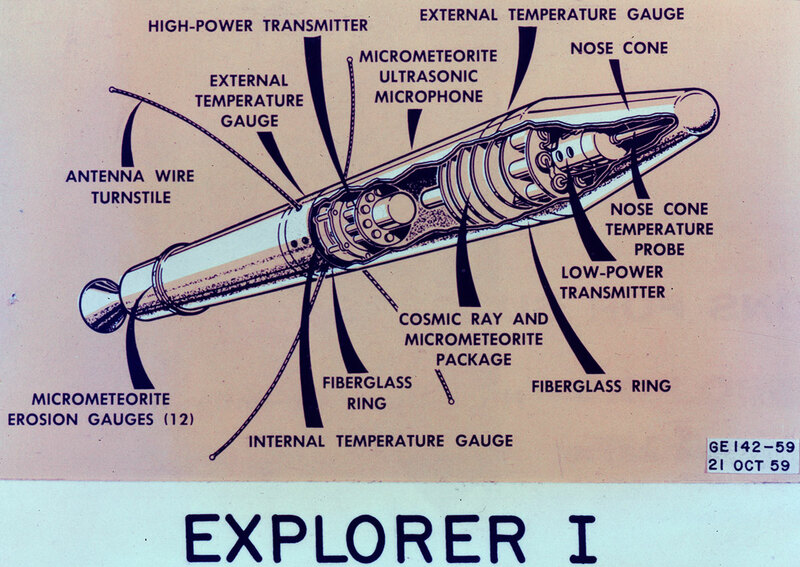 The primary science instrument on Explorer 1 was a cosmic ray detector designed to measure the radiation environment in Earth orbit – in part, to understand what hazards future spacecraft (or space-faring humans) might face. Once in space, this experiment, provided by James Van Allen of the University of Iowa, revealed a much lower cosmic ray count than expected. Van Allen theorized that the instrument might have been saturated by very strong radiation from a belt of charged particles trapped in space by Earth's magnetic field. The existence of the radiation belts was confirmed over the next few months by Explorer 3, Pioneer 3 and Explorer 4. The belts became known as the Van Allen radiation belts in honor of their discoverer. Although we discovered and learned a bit about the Van Allen belts with the Explorer missions, they remain a source of scientific interest. The radiation belts are two (or more) donut-shaped regions encircling Earth, where high-energy particles, mostly electrons and ions, are trapped by Earth's magnetic field. The belts shrink and swell in size in response to incoming radiation from the Sun. They protect Earth from incoming high-energy particles, but this trapped radiation can affect the performance and reliability of our technologies, such as cellphone communication, and pose a threat to astronauts and spacecraft. 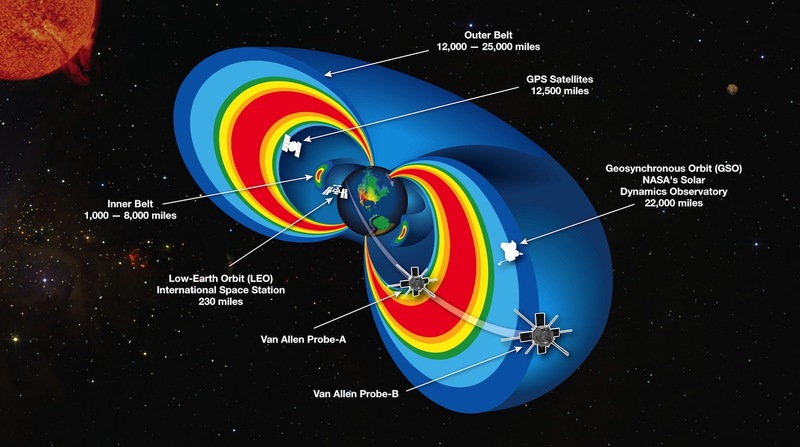 It’s not safe to spend a lot of time inside the Van Allen radiation belts. Most spacecraft are not designed to withstand high levels of particle radiation and wouldn’t last a day in the Van Allen belts. As a result, most spacecraft travel quickly through the belts toward their destinations, and non-essential instruments are turned off for protection during this brief time. The Van Allen Probes carry identical instruments and orbit Earth, following one another in highly elliptical, nearly identical orbits. These orbits bring the probes as close as about 300 miles (500 kilometers) above Earth’s surface, and take them as far out as about 19,420 miles (31,250 kilometers), traveling through diverse areas of the belts. By comparing observations from both spacecraft, scientists can distinguish between events that occur simultaneously throughout the belts, those that happen at only a single point in space, and those that move from one point to another over time. The Van Allen Probes carry on the work begun by Explorer 1 and, like all successful space missions, are providing answers as well as provoking more questions. NASA continues to explore Earth and space using spacecraft launched aboard a variety of rockets designed to place these observatories in just the right spots to return data that will answer and inspire questions for years to come. *NEW* Build a Satellite (Grades 5-8) – Students will use the engineering design process to design, build, test and improve a model satellite intended to investigate the surface of a planet. 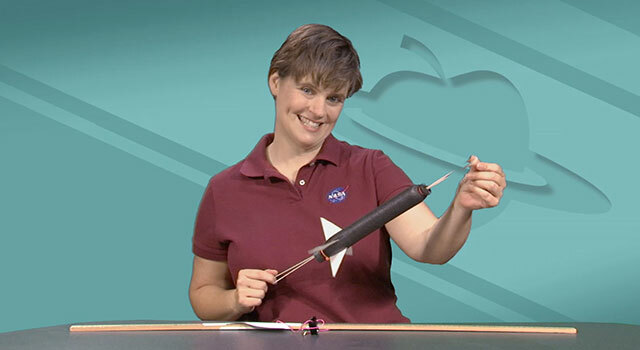 Rocket Lessons and Activities (Grades K-9) – Use these exciting lessons to help your students experience the thrill of building their own rockets using the engineering design process! Earth Science Lessons and Activities (Grades K-12) – Use these lessons to engage your students in studying Earth from space! Build Your Own Space Mission – Have younger students play this game to place instruments aboard a spacecraft and launch it into space! Download the GLOBE Observer app and have students be citizen scientists in support of NASA Earth science missions! Learn more about how to participate.